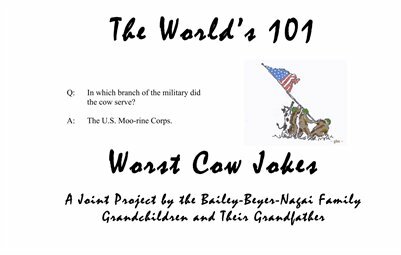 Book of the world's 101 worst cow jokes based on some mind blowing play on words. Laugh tested on author's grandchildren ages 8-11, and adults with a similarly stunted sense of humor in the same mental age range. Art work by the four grandchildren of the author.